One of my favorite curriculum companies is Home School in the Woods. I first encountered Amy Pak through her wonderful Timeline Figures that we used with our history program. 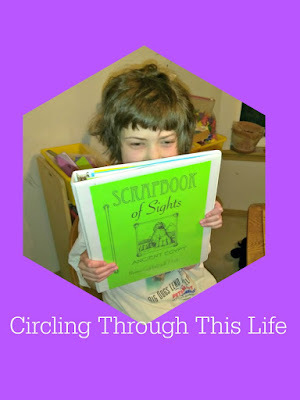 Through the Homeschool Review Crew, I've discovered that Home School in the Woods offers so much more than just figures we can use on a time line. Supergirl and I have been visiting and exploring Ancient Egypt with the HISTORY Through the Ages Project Passport World History Study: Ancient Egypt. I prepared for our journey by printing out the Travel Planner: Quick Stop Itinerary. This 3 page document gives a brief overview of the 25 Stops we will make on our trip. Stop 1 and Stop 2 Lay the Foundation. During these two lessons students will prepare their passport, luggage, and Scrapbook of Sights. The passport and luggage will be used for each Project Passport Study. I'm kind of relieved that we will not have to make a new luggage folder for each study! During the first two stops you also begin two long term projects: a newspaper and a lapbook. Because I am only using this with Supergirl we are skipping the assignments related to creating a newspaper. She loves lapbooking so are going to be making the different books to put into a final lapbook when we reach the end of our trip. and it ends with Final Stop -- Packing it Up! If you haven't guessed each "Stop" is a lesson. How long a lesson takes is left up to you. If a stop is more interesting to your students you might spend more time there. If it less interesting you may choose to skip some of the activities and move on. Just like when you are traveling you may spend hours at one museum because you find it fascinating but cut your day trip short because the water park was just not as thrilling as the guide book suggested. The PDFs are all organized into folders. One folder is Text which is your "Travel Guide" another is Itineraries. Each Lesson or "Stop" has a Text PDF and an Itinerary PDF. I am reading the Text aloud from my computer but you could print it out and bind it into a nice book or do what Home School in the Woods suggests and store the "Guide Book" and the Itineraries in a 3-ring binder. I am printing out each Itinerary as I need it as this is the "what to do and how to do it document". I could print it all out and once but I am just not that organized enough. Audio Tours - the Project Passport Study includes MP3s. In Stop 2 we took a tour down the Nile River. In Stop 5 we'll listen to "Interview with an Embalmer"
Edible Projects ~ We'll be making a Garbanzo Bean salad to bring to church for potluck! Supergirl is not your typical 2nd grader though she is about the size of one. She is my medically complicated, developmentally delayed medical miracle. Ancient Egypt is recommended for grades 3-8. We only do history 2 to 3 times per week and we are adding in many of the suggested additional resources such as movies, audiobooks, and books. Spreading each stop over 4- 6 class times works well for us. I am really impressed with the HISTORY through the Ages Project Passport World History Study: Ancient Egypt. We have Ancient Greece and Middle Ages. I can't decide which we should do next. They both look just as fantastic as Ancient Egypt. 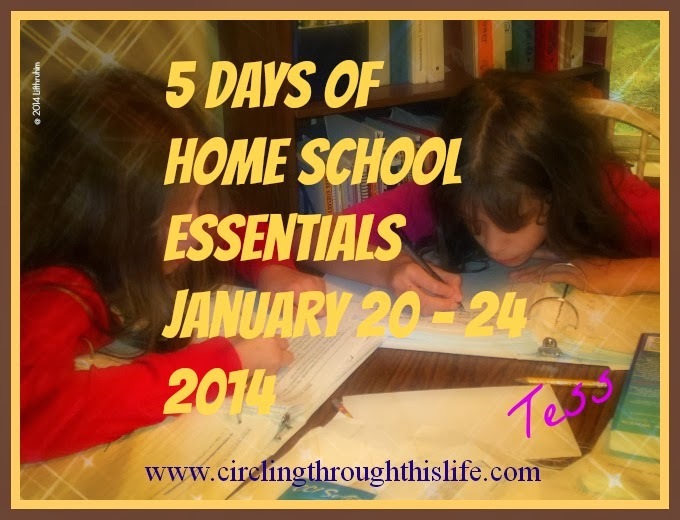 Follow Home School in the Woods on Social Media! Be sure to visit the Homeschool Review Crew blog to read what other crew members have to say about these Project Passport Studies!